Coming to your local comic shop this October! By Crom! This October, Marvel is proud to bring you the saga of the death cult of Koga Thun, presented in stunning black and white! 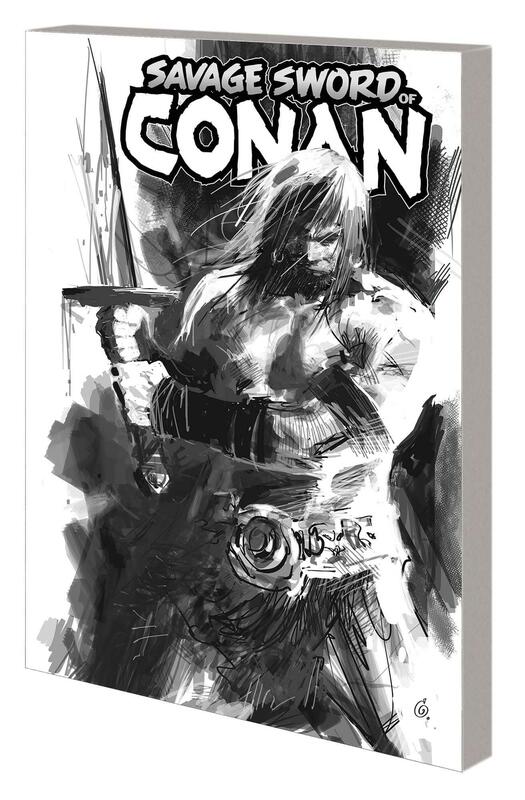 Bringing the famed sword-and sorcery epic to life through brutally sharp storytelling, Ron Garney’s epic inked pages take an extra-special spotlight in this brand-new trade paperback that collects the most recent run of SAVAGE SWORD OF CONAN, written by Gerry Duggan. Get the first look inside the trade with the gallery below, then pre-order the TPB with your local comic shop now! This May, the deadliest Avengers face their deadliest foes.